This page contains all the information available for Venonat in Pokemon Ultra Sun and Moon including the moves learnt by level up, egg moves and TM moves. 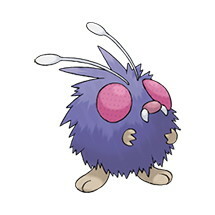 Compound Eyes The Pokemon’s compound eyes boost its accuracy. Tinted Lens The Pokemon can use “not very effective” moves to deal regular damage. Sun and Moon Trade/migrate from another game.